Many people think of introverts as being anti-social recluses who are simply not interested in being around other people. Fortunately, that stereotype has started to be challenged in the media. While it’s true that introverts need some alone time in order to recharge their minds and bodies, introverts can be social and do enjoy the company of others. While they might not want to spend the night raging at the latest clubs, they do usually like spending time with a few people at a time. If you have an introvert in your life, the key to finding great gifts is to zone in on the person’s individuality. 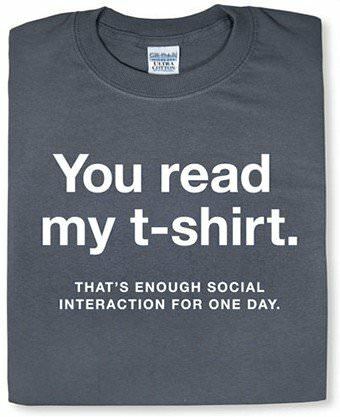 There’s no single gift that’s perfect for every single introvert. However, the following gifts are more likely to be appreciated by introverts. Most introverts tend to enjoy reading book after book after book. In fact, there’s a good chance that the introvert you know was one of the first people to jump on the Kindle bandwagon. That’s why a Kindle Unlimited membership makes such a great gift. The program costs just $9.99 per month and allows the user to borrow hundreds of thousands of books. While most libraries do have a program for lending e-books, not every book is available, and there’s sometimes a wait for some of the more popular books. If you’re interested in this, you can purchase a package in 6, 12, or 24 months. Speaking of books, the popularity of understanding introverts means that there are plenty of books on the market that celebrate the unique personality traits of the introvert. In “Quiet: The Power of Introverts in a World that Can’t Stop Talking”, for instance, writer Susan Cain seeks to explain the psychology of being introverted and how these people have unique strengths that the world needs in a way that’s fun and engaging. Your introvert is bound to find himself nodding along while reading. “The Introvert Advantage: How Quiet People Can Thrive in an Extrovert World” by Marti Olsen Laney, PsyD, your introvert can learn many tips about how to use his natural inclinations to his advantage. Even if she wouldn’t really like to wear it out to a party, it could still crack her up and be something that she’d enjoy wearing at home. If funny T-shirts might not be his thing, consider giving him some soft, comfortable clothes for lounging about the house. The Daniel Buchler blended cashmere sleep pants for men are just 10 percent cashmere, but this extra softness takes the comfort level up several notches. There are cashmere pajama sets for women as well. Click here to see more. If you really want to splurge, Cashmere Boutique offers 100 percent cashmere pajamas. It’s a mistake to think that every introvert wants to sit around doing nothing but reading books and drinking tea. Sometimes, there’s nothing quite like spending the weekend inside with a good ole TV marathon. A DVD set of a favorite TV series offers so much more fun than a single movie. Think about shows that aren’t on Netflix, like Seinfeld or 24. Often, there’s a bit of lag time between when a TV show releases the latest season and when it’s available on Netflix, so you could also purchase a favorite recent show. Introverts need their privacy to feel their best, but sometimes it’s hard to explain this to others. There’s nothing worse than trying to relax, only to have family and friends interrupt this time. It might seem a bit silly, but a “Do Not Disturb” sign, like the ones found at hotels, could be great for introverts. She can simply hang it on the door of the bedroom or home office and everyone in the house will know that now is not the right time. The basic black sign from My Sign Center is simple and elegant. It would be hard to find an introvert that doesn’t like the Harry Potter series. Of course, it’s hard to find anyone who doesn’t like the series. The Harry Potter house robes sold by Think Geek are a great choice for the Harry Potter fan who likes to stay warm at home. The robes are soft, 100 percent cotton, and come in versions for each of the four houses. Don’t necessarily choose Gryffindor just because that’s Harry’s house. Many introverts pride themselves on having the gentle hearts of the Hufflepuffs or the sharp minds of the Ravenclaws. You might even find a few Slytherins. If you’re not sure what house your introvert belongs to, simply ask him. It’s hard to escape the noise of the outside world. Loud chatter on the subway or at the office can be extremely difficult for the average introvert to deal with. A pair of high-quality noise canceling headphones can help your introvert stay in his own world even when he’s not at home. Consider the ones by Bohm, which have Bluetooth technology to make them wireless. Not having to deal with the wire is a big help. Anything that makes the home a bit more relaxing and inviting is a great gift for an introvert. Being surrounded by beautiful scents can really add something to the ambiance. Fortunately, there are many ways you can make this happen. For instance, an aromatherapy diffuser releases a fine mist of aroma throughout the room. When you pair this gift with a set of various aromatherapy oils, such as the kit by Synergy Blends, she’ll be able to adjust the scent along with her mood. Tart warmers are another good way to spread good smells throughout the home. These are a good choice for introverts who prefer smells like “baking cookies” over the smells you’d find in traditional aromatherapy oils. There’s no doubt that getting a very personal gift is something that introverts will love. Introverts might not have hundreds of friends, but they do take care to form deep bonds with the friends they do have. When you purchase a present that has deep meaning for him, he’ll feel like you truly get him the way that he feels like he gets you. These gifts can be harder to come by, as it might be something like a hard-to-find collectible item or a first edition of his favorite book. However, even a nicely framed photo of a favorite moment with the two of you makes a great gift. Look for matted frames to add a little something elegance to the picture. Every introvert is a unique individual, and deserves a present that’s as unique as they are. When you think carefully about the things that he or she might really like, you’re sure to find the perfect gift.